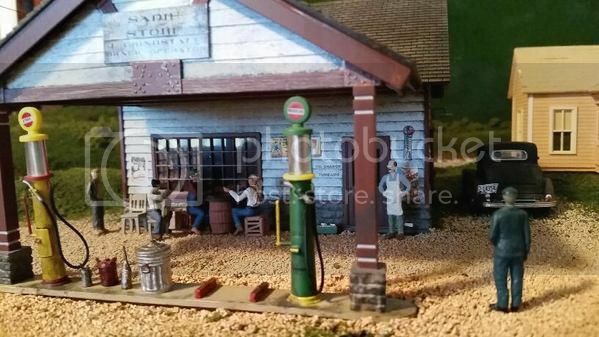 I added a few extra figures to the Grindstaff Country Store along Stoney Creek road (a place that existed in real life, but didn't really look like this). I think now, it has the right look I've wanted all along. I also ordered the Crumley/Pippin figures and got the confirmation that they're on the way. When I get them, I'm going to be spending a lot of time painting them to be sure I do them justice. I put these hooks into the fascia so I could hang the rerailers onto them for ease of access. Then, I added these cups onto the sides as well, bought at a local office supply place, and put in place for the bamboo skewers I use for uncouplers. I'll probably cut the skewers down a little bit, as they really don't need to be that long. But anyway, this is something I've been wanting to do for a while now. You might want to make it clear in post #1 that your PART ONE thread is perfectly OK to view. Only it's ability to create NEW pages is not working. It's not 'killed' ... But very much still alive !! I was looking at some auto diecasts recently, and thought of you. ...cos they are all different scales. A double-decker bus & a Model-T, all fit in the same sized box ! Anyway, there are a few nice 1:48 autos in the series. This is the 1937 Cord 812 Sedan ! I could see one of these parked up at Stoney Creek somewhere. ...couple of different paint jobs as well. I could see one of these parked up at Stoney Creek somewhere. While I always appreciate model suggestions, I couldn't possibly see one of these up Stoney Creek at any point in history. The area has always been horribly depressed, economically. It's said that the Depression hit NE Tennessee long before there was a "five dollar word" for it. During WW2, nobody can recall anyone up there having a tractor, and that had nothing to do with gas rationing. Heck, the valley didn't even have electricity until the rural electrification act got it up there in the late 40s. Anyone who could have afforded a Cord wouldn't have gotten gas for the thing in 1943. No, you would have seen larger business vehicles with better ration cards and a very few small sedans and trucks for essential workers, doctors, and clergy up that way. And all those cars and trucks would have been older ones which were very well worn. 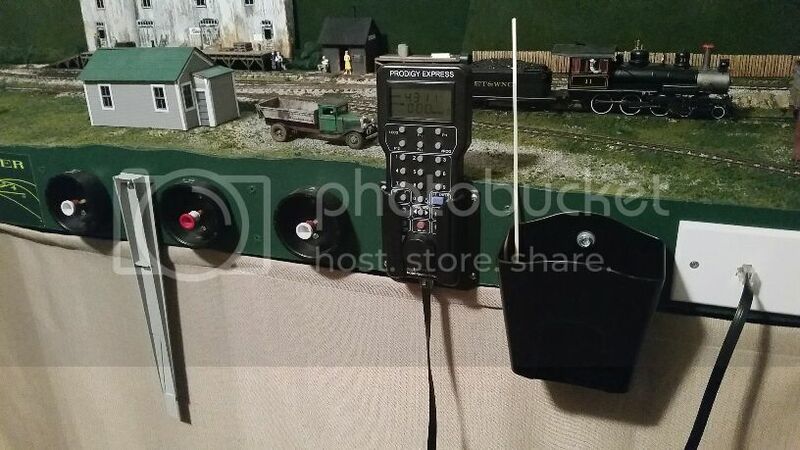 I recently put these up, over the door as you exist the layout room. Most folks probably will never notice them. 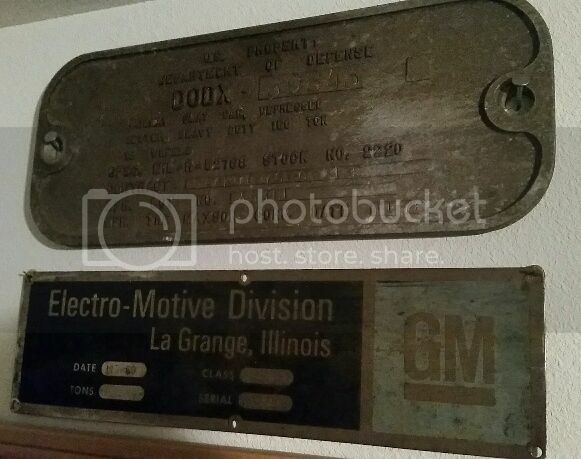 The upper one is from a Department of Defense (DODX) depressed-center heavy flatcar that got scrapped*, with a 1976 date.